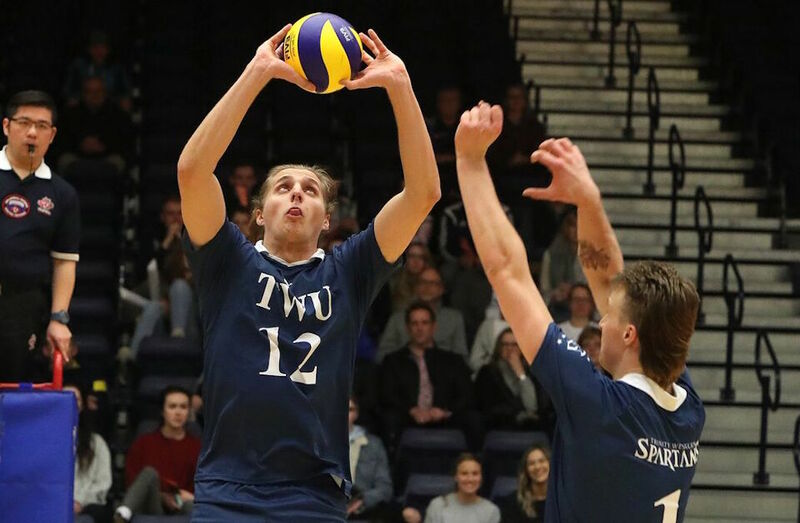 Trinity Western setter Adam Schriemer was honoured as U SPORTS men’s volleyball Player of the Year Thursday morning, as the national award winners were celebrated at the annual All-Canadian breakfast. 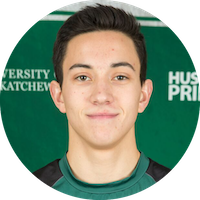 Saskatchewan outside hitter Dylan Mortensen captured Rookie of the Year honours while Winnipeg libero Logan Brennan took home the Dale Iwanoczko Award for Student-Athlete Community Service for his outstanding contribution both on and off the court. His Wesmen bench boss Larry McKay was named Coach of the Year. 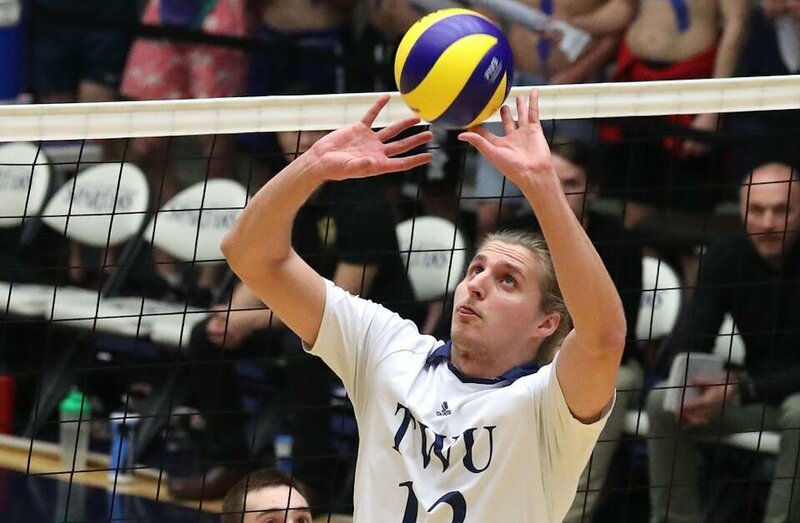 Adam Schriemer of the Trinity Western Spartans is the 2017-18 Player of the Year in men’s volleyball, becoming the third Spartan in the last four years to earn the national honour. Schriemer finished his career with one of the most impressive setting seasons in Spartans history. The fifth-year superstar guided a young TWU side – one featuring two rookie starters – to a nation-best .311 hitting percentage while, himself, averaging a U SPORTS-leading 10.57 assists per set of players with at least 11 matches played. The now three-time conference champion and two-time national champion was instrumental in leading TWU to a program-record and Canada West-leading 22-win regular season. His outstanding season capped the greatest statistical setting career in Spartans history. Schriemer finished with a program-best 3,448 assists over his five years at TWU, finishing his career with the fifth most assists in Canada West history. 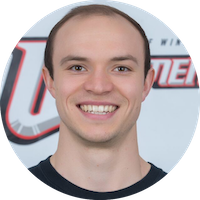 Since joining the Spartans in 2014, Schriemer played in the Canada West final in all five years of his career, winning the last three, and in each of the last three U SPORTS finals, winning the last two. Schriemer is the fifth TWU player overall to win the award, joining Ryan Sclater (2016-17), Nick Bel Bianco (2014-15), Ben Ball (2011-12), and Josh Howatson (2006-07). While this award is recognition of this past season, for me it’s the perfect way to sum up a historic career. It’s one that has seen him lead our program to places we never thought possible, and without Adam it would not have been possible. 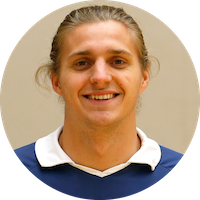 “What’s crazy for me to get my head around is the path that Adam has led us on while being our setter,” said Trinity Western head coach Ben Josephson. 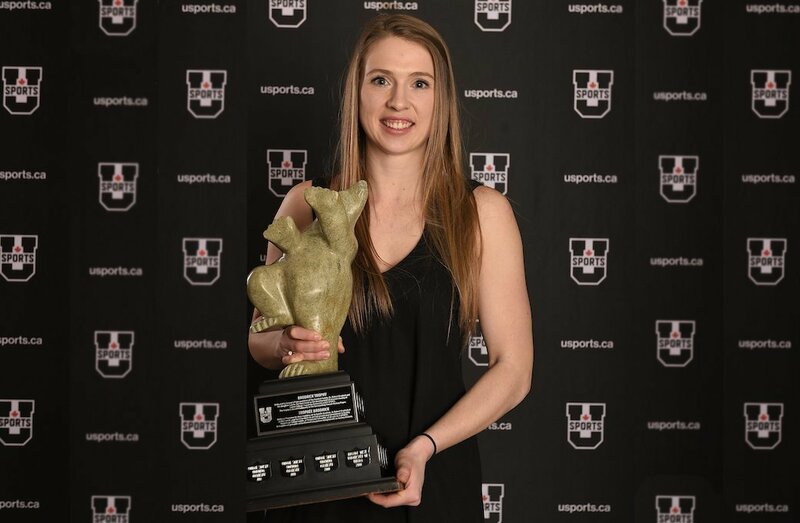 “As a rookie, he led us to winning the Canada West regular season title and was the U SPORTS Rookie of the Year. In his second year, he set us to a national final appearance. In his third year, he helped us win a Canada West title and was the Final Four MVP and then we won the national championship. In his fourth year, he led us to another Canada West title, a national title and was the U SPORTS tournament MVP. Now, in his fifth year, he led us to another Canada West regular season title and a Canada West title and has been awarded Canada West and U SPORTS Player of the Year. Dylan Mortensen had a rookie season to remember. 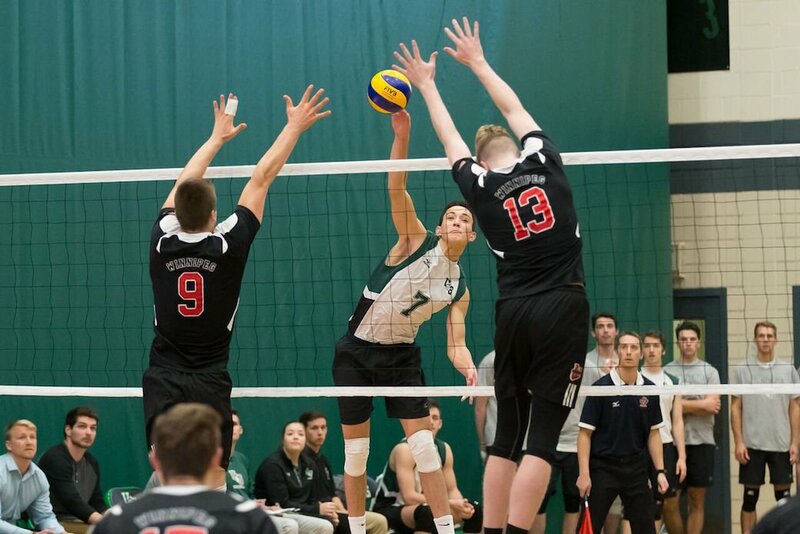 The 6-foot-6 outside hitter from Swift Current, Sask., played in all 24 matches for the Huskies in 2017-18, starting in 89 sets. He led the Huskies in kills with 299, averaging 3.36 per set, which was good for sixth in the conference. He added 116 digs, 24 service aces and 28.5 blocks. Saskatchewan finished the Canada West season 10-14 and outside the postseason. Mortensen is the second Huskie to win the award in the last three seasons, as CJ Gavlas claimed the honour back in 2015-16. Dylan is a very worthy recipient of the national Rookie of the Year award. He had an outstanding season leading our team and his offensive numbers in the Canada West conference speak for themselves. This was a very strong year of rookie performances in Canada West and being named one of the best is a testament to the special season he had. From a coach's perspective, it is not surprising. He is a driven, goal-orientated student-athlete and his ceiling is limitless. A four-year Academic All-Canadian, Logan Brennan has been on the Dean’s honour list every year since enrolling at the University of Winnipeg and has been among the school’s Rhodes Scholar candidates. 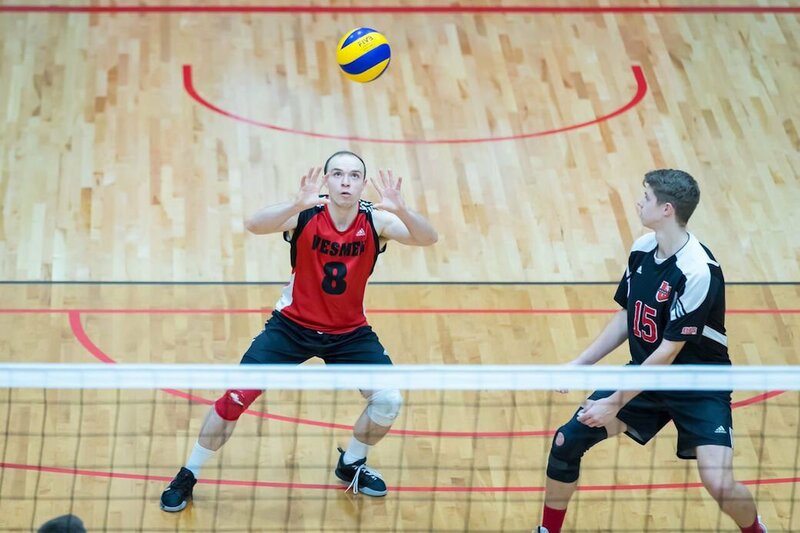 The kinesiology & applied health student played primarily as a libero this season, but has also seen time as an outside hitter for the Wesmen, who finished fifth in the Canada West regular season standings with a 15-9 record. In terms of volunteer activities, Brennan has given his time to several initiatives in Winnipeg, and back home in the Calgary area. Among the causes closest to Brennan’s heart is the Banded Peak Challenge. The event raises funds for Easter Seals Alberta’s Camp Horizon. At Camp Horizon, children with disabilities and medical conditions get a chance to explore the great outdoors, learn new skills, traverse tree-top ropes courses, swing on a giant swing, rock climb, and challenge themselves in ways they never imagined possible. Brennan and his family have been involved with the event for more than a decade. He’s an exceptional young man that has amassed an academic record second to none, has an outside academic community service record that is so length it’s incredible, the things he’s done in his spare time. I simply admire the young man and am grateful to have had him on our team. 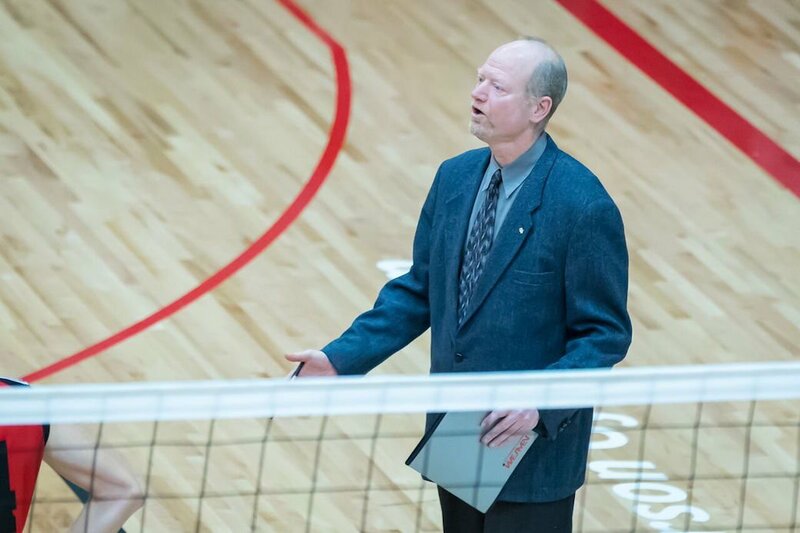 Longtime bench boss of the Winnipeg Wesmen Larry McKay is the U SPORTS Coach of the Year for the third time in his career, after previously winning the award in 1992-93 and 2001-02. 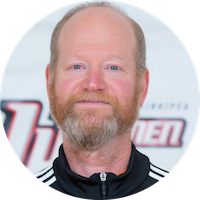 Over 29 seasons at the helm of the Wesmen, the two-time U SPORTS champion has enjoyed plenty of success at both at the conference level and nationally. This season he navigated Winnipeg to a 15-9 regular season record to finish fifth in the conference, while tallying the third-most kills in the nation with 1079 and the most digs in the country with 948. McKay is also a member of the Manitoba Volleyball Association Hall of Fame. How lucky we are at the University of Winnipeg to have a coach with the vision, instincts and abilities of Larry McKay. Having been around university sport for 38 years, I have seen hundreds of leaders and I can honestly say Larry is one of the finest I’ve had the pleasure to meet or work alongside.